We clean all types of windows inside and outside your home, even the hard to reach ones. We protect your floor by wearing clean shoe covers and using absorbent cloth pads under your windows. We use environmentally friendly cleaning products so you don't have to worry about harsh fumes. Our cleaning team is friendly, professional and trustworthy. We use professional squeegees, scrubbers, and microfiber tools to ensure your windows are sparkling clean. 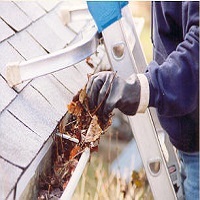 Eavestroughs can fill up with leaves and debris. This will cause the gutters to overflow with water and thus causing water not to drain properly. Having your gutters cleaned will ensure that your eavestroughing drains properly and thus, you will prevent water damage to your home. 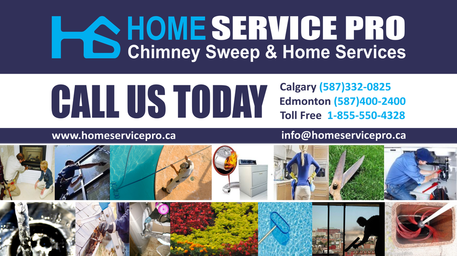 Our high powered pressure washing cleaning systems can provide cleaning to various parts of your home. We can pressure wash your driveway, walkway, the siding of your home, or almost any dirty surface you wish to have power cleaned. Your homes siding can become dirty from the pollutants in the air, or from overflowing gutters from above. 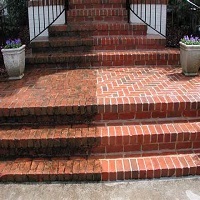 Our pressure washing service will help restore your home to a fresh, clean new look.